Written by chris maroulakos on Monday, April 18th, 2011 at 10:00am. So goes the sardonic chorus of “Love Is Not Enough,” the opening track off The Wealthy West‘s Volume 1 EP. It’s a dazzling introduction to Austin musician Brandon Kinder and the various elements — acoustic twang, piercing melodies, and a world-weariness undercut by tongue-in-cheek humor — that make his music so distinctive. Every song on Volume 1 is a home run, from the steadfast “Give Me Resurrection” to the forlorn “Home.” Its unrelenting quality and minimalist, down-home charm make the 5-song tour de force reminiscent of — and every bit as good as — The Avett Brothers’ Gleam EPs. 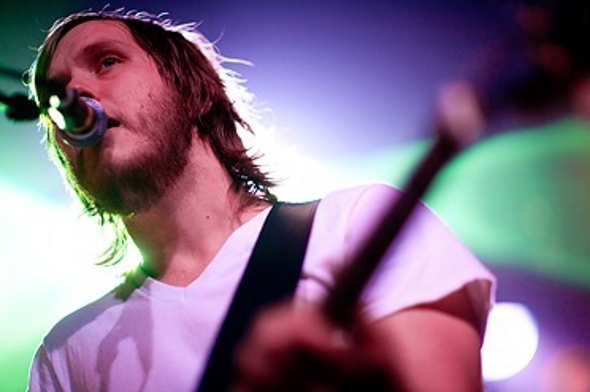 We spoke with Kinder — who also fronts the band The Rocketboys — about where he gets the inspiration to write such beautiful songs. Let’s just say his answers, which included everything from cheese dip to Jim Carrey, weren’t quite what we were expecting. You can check out his Poetic Memory below. 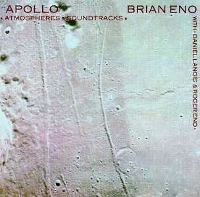 Brian Eno – Apollo: Atmospheres and Soundtracks: I first heard this album when I was about 16, and I instantly loved it. It’s been a staple for me ever since. It challenges me to try and create unique textures to go with the songs I write. “An Ending (Ascent)” is the one of the most beautiful songs I’ve ever heard. My extremely talented friends: Being a touring musician lends itself to meeting tons of musicians from all over. I’ve met some amazing songwriters and musicians over the years, and it always encourages me to see them succeed. It helps to know that there are other people out there who are so passionate about their craft and want to share it with other people. Cheese dip: Would life even be worth living without a bowl of delicious melted cheese to dip tortilla chips into? No, it wouldn’t. My bedroom/studio – I recorded most of the new EP in my upstairs bedroom, here in Austin. It’s a great place to be creative and to find inspiration. I’ve got 3 or 4 guitars in there, a couple banjos, a mandolin, a toy piano, an accordion, an air organ, lot’s of percussion, usually another keyboard or two, a slide guitar, ukulele, a kick drum and plenty of different mics to choose from. I love having a lot of instruments around to choose from while I’m writing and recording. 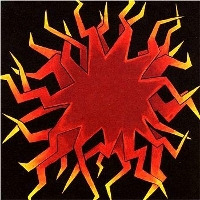 Sunny Day Real Estate – How It Feels To Be Something On: This album was my intro to Sunny Day. I tend to be a sucker for singers with really unique voices. When I heard this record all of my preconceived notions about pop music changed. There’s just something about the songs on here that really hit home. They seemed so much more creative and original than most of what I was listening to at the time (which was mostly just whatever was on the radio at the time), but it’s still just great pop music. This album is one of the albums that gave me the desire to be a musician and to try and take it seriously. Great coffee: I’ve been working at coffee shops for the past 12 years, and over time my tastes have become a little snobbish, although I do still love going to dirty little diners and drinking mug after mug of their gross java late into the night. I have a friend in San Antonio who is an independent roaster, and he, by far, has the best coffee I’ve ever had. Netflix: This probably does way more to distract me from writing music than it does inspire me, but it’s awesome! A pen (typically the G2): I love writing out song ideas using a pen and paper. Don’t get me wrong, I’m all for technology and what have you, but there’s something really special about seeing a completed song with all the scribbled out lines and random arrows pointing all around. If the process of songwriting is a journey, then that piece of paper is the map. Any Jim Carrey movie: That’s all. I just love Jim Carrey movies. I’m certainly into his more serious roles as of late, but there is definitely still a time and a place for movies like Once Bitten and Earth Girls Are Easy.